A ranchhand leaps onto a fence when a steer doubles back after a cattle fever tick inspection in February 2018 at the Laguna Vista ranch of Danny Davis. While funding related to border wall construction nabbed the most attention upon passage of the omnibus spending bill, the bill also included continued funding for the eradication of cattle fever ticks. In the bill, which President Donald Trump signed into law Friday, Congress secured $96.5 million for the cattle health program overseen by the Department of Agriculture’s Animal Plant Health Inspection Service. The funds will go toward ongoing efforts to eliminate the fever ticks while about $5 million of that will be for research to find new ways of combating the problem. “It’s an issue that I’ve been working on since 2008 when I first added language on the farm bill to address this issue,” said Rep. Henry Cuellar, D-Laredo. Cattle fever ticks are parasites that cause cattle fever which is a severe disease that is often fatal, according to the Texas A&M AgriLife Extension. Hidalgo, Starr and Cameron Counties are among the areas that encompass quarantine areas. Between January 2014 and December 2017, the total of permanent and non-permanent quarantine zones has steadily increased. 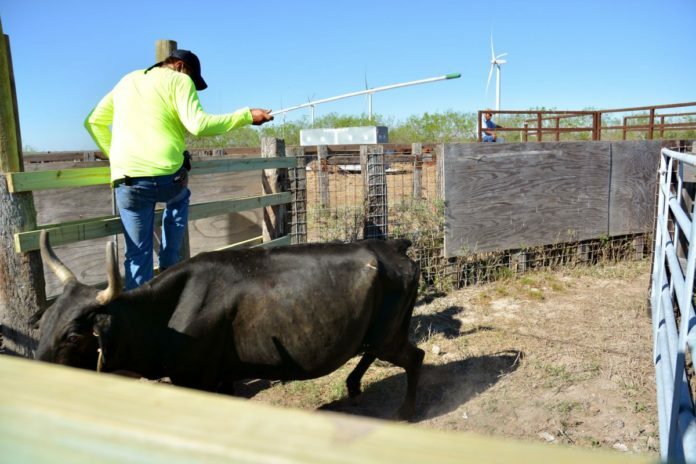 Because the problem has only gotten worse, $5 million was added for research on top of the initial $91.5 million in the Cattle Health fund, Cuellar said. “Then, I got another additional $1 million, both of those to be used for cattle fever tick research,” he said. Currently, fever tick is treated by dipping cattle into a liquid that kills the fever ticks. But the process can be expensive and time-consuming. There is also the danger of ticks spreading to other wildlife that aren’t being treated for the disease. “So you might dip the cattle but then you’re not addressing all of it because you’re not doing the wildlife that might be carrying the tick,” Cuellar said. In meeting with leadership from the Farm Bureau and with Robert Aderholt, chairman of the appropriations agriculture subcommittee, Cuellar said he stressed the importance of preventing fever tick from spreading to other areas thereby damaging the U.S. cattle industry which is valued at roughly $81 billion, according to a news release issued Thursday. Gonzalez echoed that sentiment, emphasizing the negative effects the disease could have, especially if it spread to other parts of the country. The Cattle Health funding in the bill matches the funding from last year, according to the release. From those funds last year, the USDA allocated $12.2 million to fight ticks in South Texas. How much of the $96 million will be allocated this year to the area is yet to be determined.